1. Open and close the lid by holding both sides of the screen, or from the center. Closing the lid from just one side causes increased pressure on that hinge and it will bend or break over time. 2. 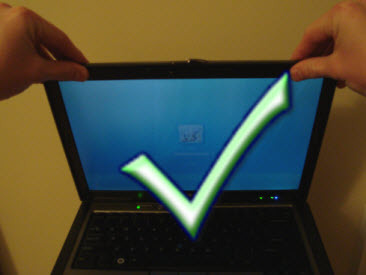 Lift or hold a laptop from the base, not the screen directly. This also will cause damage to the hinges. 3. Avoid exposing your laptop to extreme temperatures, like leaving it in the car. 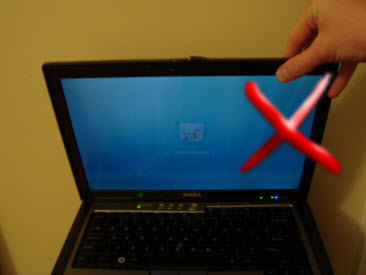 Extreme temperatures can damage the screen and/or other hardware in the laptop. It can also shorten the battery life.